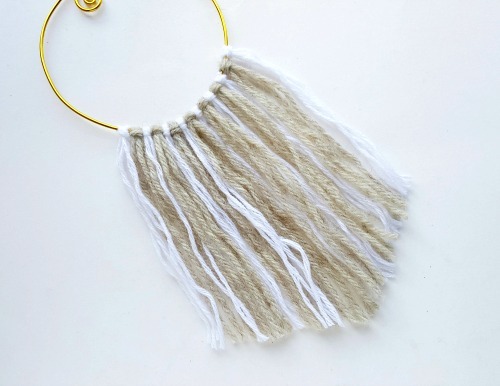 I love the look of boho yarn wall hangings! They’re pretty simple, but so appealing. Of course, since I love to DIY things, I just had to try my hand at making my own homemade yarn wall hanging. And it wasn’t too difficult at all! It was actually very relaxing! 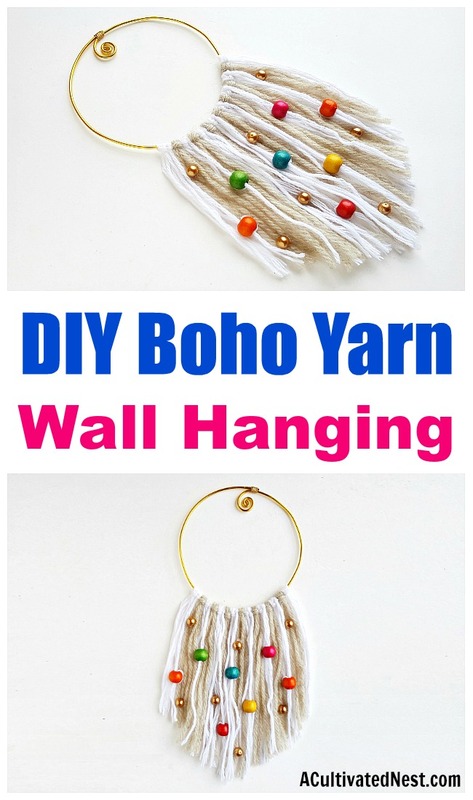 If you want to make your own DIY Boho Yarn Wall Hanging, check out my tutorial below! 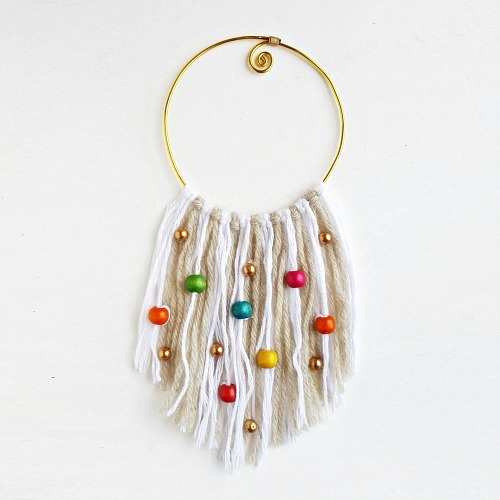 There are so many opportunities for customization with this DIY boho yarn wall hanging. 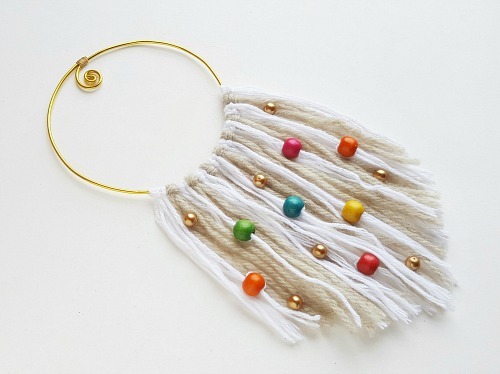 You can use whatever color yarn you like, and whatever color beads. And of course, beads come in tons of different styles, which expands the customization possibilities even further! 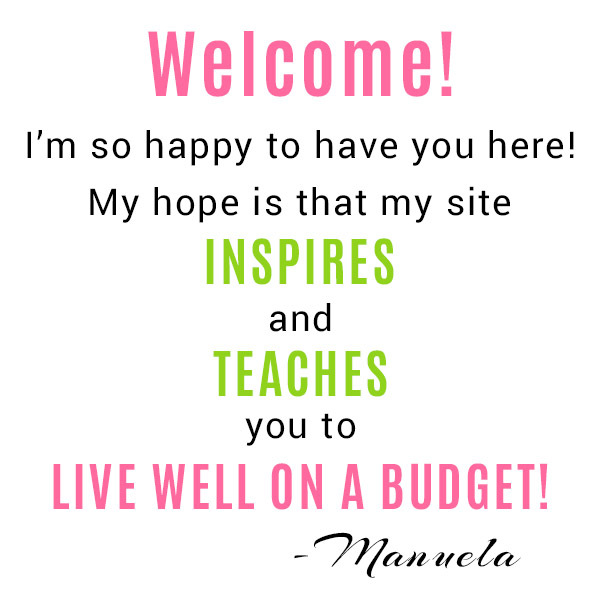 Just have fun and create something cute! 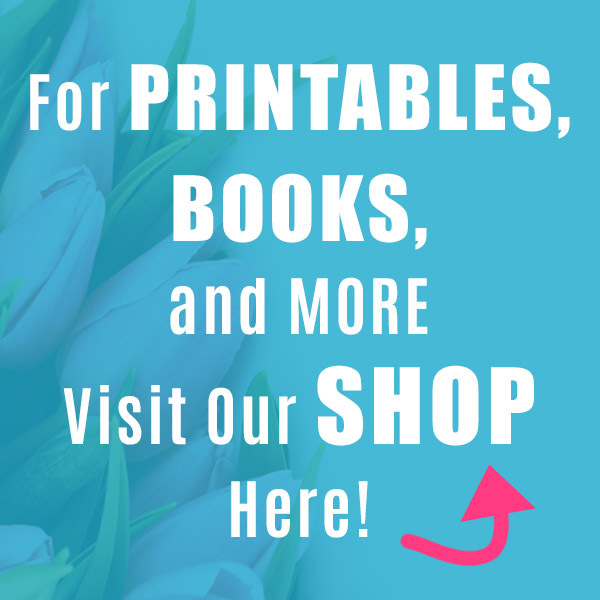 But of course, if your boho wall hanging doesn’t turn out the way you imagine, you can always purchase a pre-made yarn wall hanging on Amazon, or directly from someone on Etsy. 1. 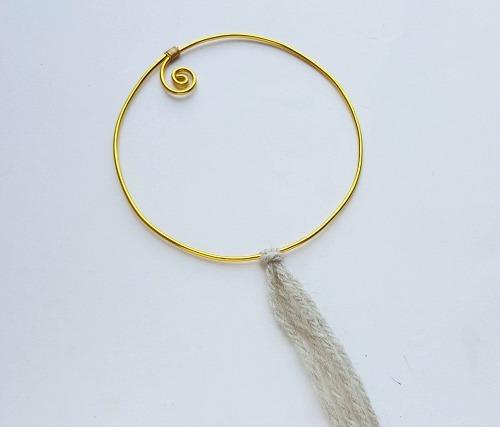 You can either use a store-bought round base frame or make one from craft wire. 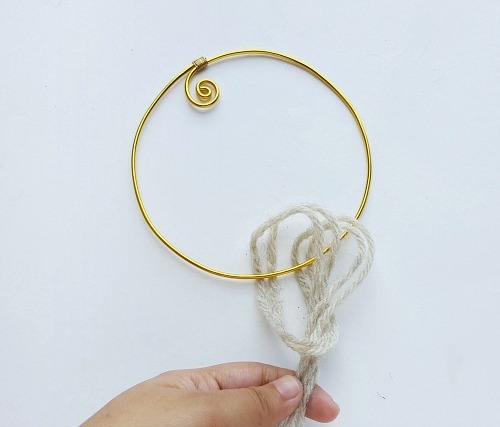 I used a 26 gauge golden craft wire to create a simple round base frame for the wall hanging. 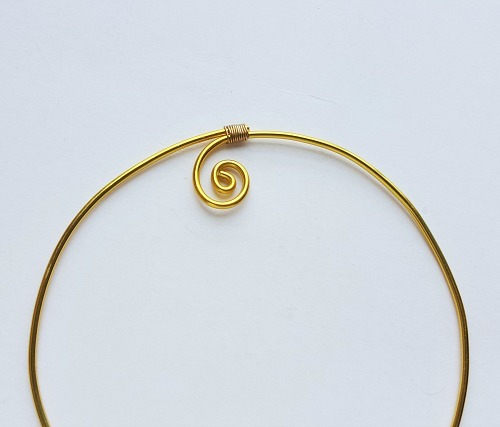 I created a twirl pattern at one end and kept the other end intact. 2. 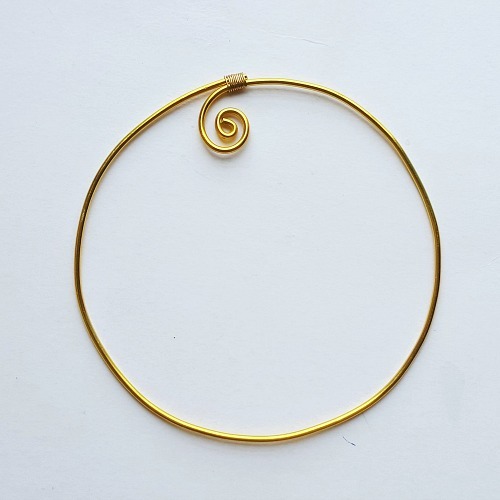 After forming the round base use a 16 gauge wire to join the open ends and form the frame. Simply overlap a small length of both open ends and coil the 16 gauge wire around the joint parts. 3. Determine the length of the wall hanging and cut out yarn strands according to the determined measurement; I used 2 different colored yarns. 4. Take the base frame and 2 strands of yarn, this will be group one of the yarn strands. 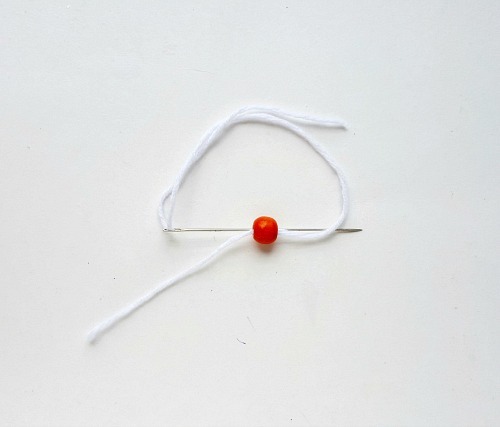 Fold the group of yarn strands in half and draw the closed end under the base frame. Keep the open ends of the yarn strands inside the base frame and draw the closed end outside the base frame. 5. Take the open ends of the yarn strands and draw it over the base frame and then draw them through the loop (closed end) of the yarn. 6. 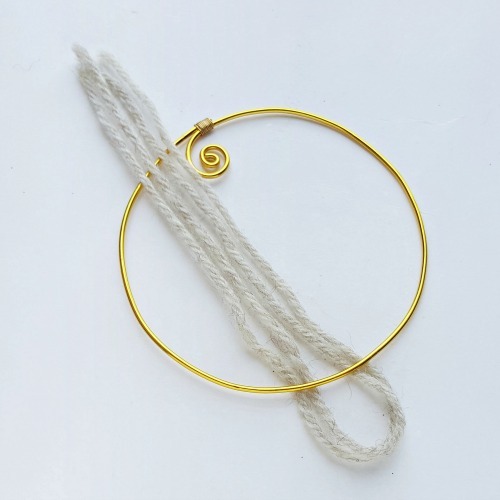 Pull the open ends of the yarn to tighten it and form a knot with the frame. 7. Similarly attach the rest of the cut out yarn strands. Take 2 strands of yarn each time. 8. 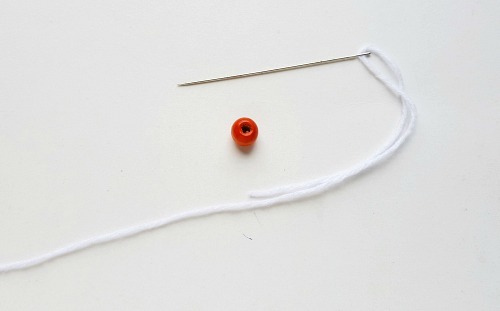 Use scissors to trim the open ends of the attached yarn strands. You can trim the open ends however you wish; I created a simple triangular edge. 9. 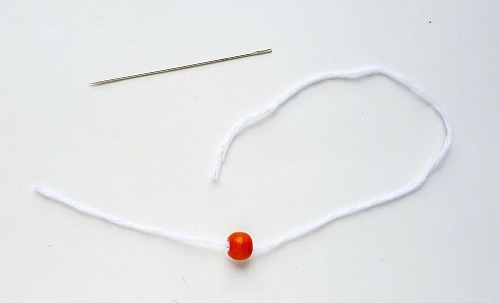 Now take single yarn strands and prepare it with a tapestry needle. Also select a colored wooden bead. 10. Thread the bead into the yarn strands through the tapestry needle. 11. 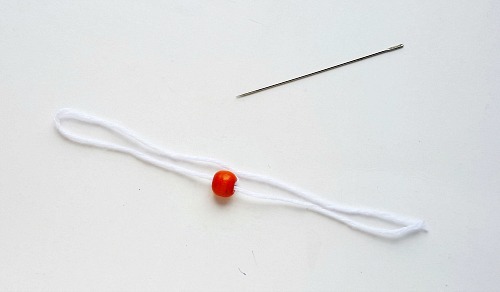 Now insert the needle into the bead again through the opposite direction of the previous threading. 12. 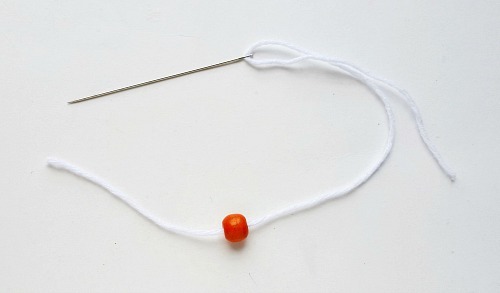 Hold both open ends of the yarn and pull them closer to the bead. Pull until the bead is closed on both ends. 13. Now fold the beaded yarn strands in half. 14. Now attach the beaded yarn strands with the frame like we’ve attached the previous yarn strands. 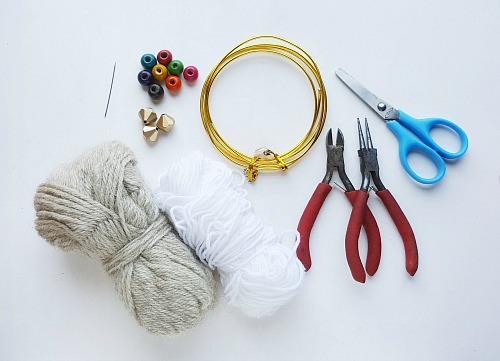 Similarly attach more beaded yarn strands to the frame. Make sure to bead the strands at different lengths for a nice pattern. 15. 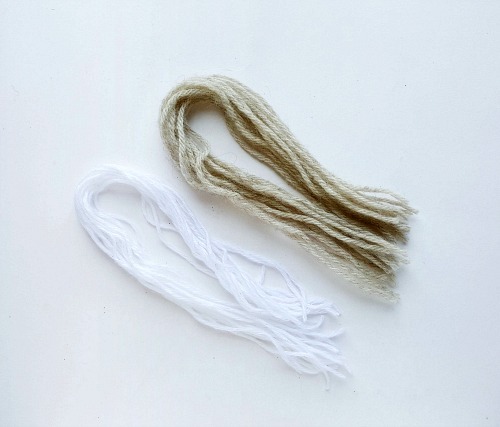 Once again, trim the open ends of the yarn strands to level them with the previous strands. 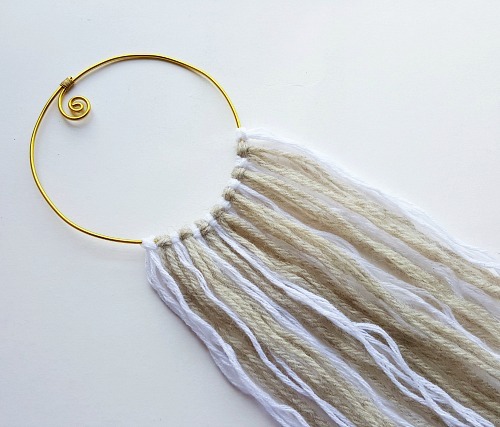 Then you’re done with your DIY boho yarn wall hanging! Hang it, and enjoy! 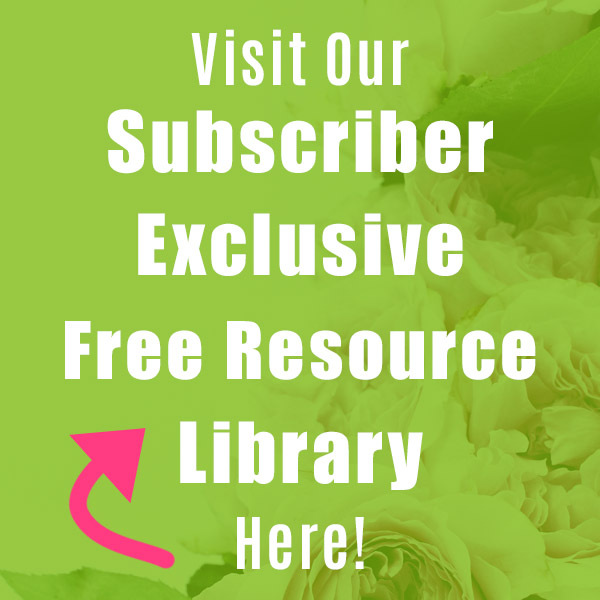 What do you like most about boho decor? 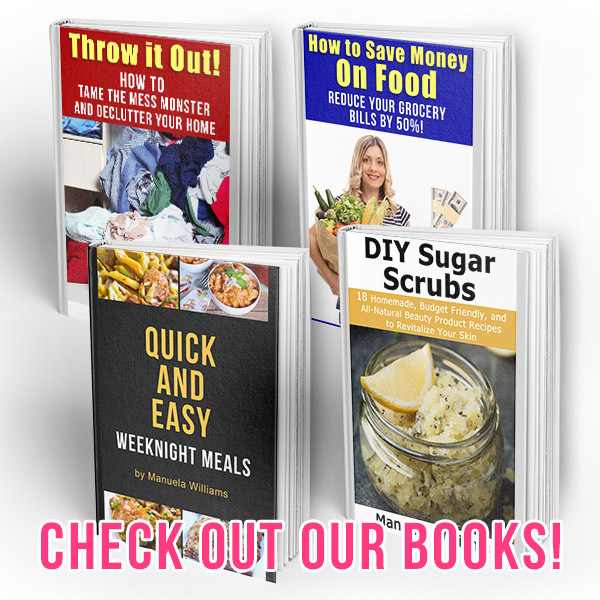 « What is a Grocery Price Book and How Does it Save You Money?